Popular social media platforms to try include Reddit, Twitter, Facebook and Pokemon Go Forums. You can learn a lot about Pokemon Go and progress by playing solo, but connecting with and learning from others can significantly improve your game. Check out the Pokémon Go Discussion Forum! This tip is very important for players just starting out. Using higher tiered Pokeballs on any common Pokemon (especially in the earlier stages of the game) is one of the biggest mistakes newbies can make. Great Balls and Ultra Balls are powerful Pokeballs in Pokemon Go. It can be tempting to use a these immediately after obtaining one, but the best thing you can do is save them in your inventory! The main reason for saving Great Balls and Ultra Balls is to allow you to capture rare and powerful Pokemon later on. 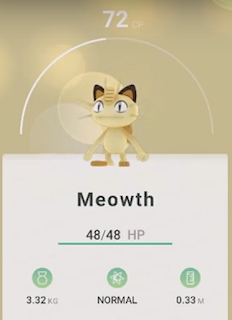 As you progress through the game, you will encounter much more powerful Pokemon that cannot be captured with a standard Pokeball or even Great Ball. If your Pokeballs are not strong enough you will be forced to leave that special Wild Pokemon behind. On the other hand, if you end up saving all of your Great & Ultra Balls you will be prepared once that evasive Mythical or Legendary Pokemon appears on your map! After playing the game for a bit and reading the comments, you will also want to look at the Moveset of each Pokemon. Evolution will change the moveset, but Powering Up Pokemon will keep their Moves intact. Based on preference you may choose a Pokemon with lower CP, but with Moves better suited for your Pokemon team. The majority of Evolved Pokemon will have greater CP than their Wild Pokemon Counterparts. For example, a wild Wartortle may have anywhere from 200 - 250 CP. If you were to obtain 25 Squirtle Candy and then evolve a Squirtle into a Wartortle that Wartortle may have 300 - 400 CP. Blastoise may have 1000+ CP when evolved from Wartortle! These numbers are not exact, but the main tip is that evolved Pokemon are stronger than Wild Pokemon. My starter was Bulbasaur. Reasoning for the picture below! Pokemon Type Variety: The Pokemon on your team will have Type weaknesses, but the entire team should not share the same weaknesses. For example, a Pokemon team of a beginner may contain Grass, Ice & Bug Types; all of which are very susceptible to Fire damage. Instead, one or two Water Types should be added as replacements to balance out the Team. Mix and match the different Pokemon Types at your disposal to discover the optimal composition. Choose the Best Pokemon Types: Not all Types are created equally. Some Pokemon Types are Super Effective against many Types, while others are very resistant against many Types. Attacks that deal reduced damage will show as Not Very Effective. BONUS TIP: Get Pikachu as your starting Pokémon!!! I hope these Pokemon Go Beginner Tips were helpful. 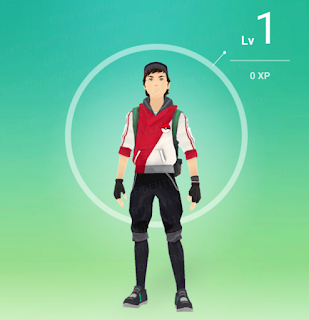 If this article was helpful please share with other Pokemon Go Beginners that you know. If you have any tips of your own, please feel free to comment below.